Hepatitis may be defined as the inflammation of the liver cells. It is caused by a virus. There are different types of hepatitis depending upon the strain of virus that affects a person. Hepatitis can lead scarring of the liver. Three types of hepatitis virus A, B and C are most common. There are different causes of hepatitis. The cause of different hepatitis is different. Hepatitis A is caused by eating infected food and water. It is a mild type of hepatitis infection and may recover completely. Hepatitis B is generally transmitted through sexual contact with an already infected person. It may also get transmitted by sharing needles. Hepatitis C transfers by direct contact of blood with the infected person. There are other types of hepatitis as well such as hepatitis D, hepatitis X, hepatitis G and hepatitis E. People who drink too much alcohol may develop cirrhosis of liver and further it may lead to hepatitis. People living with infected persons. People working in day care centers. People who take intravenous medications. People who have multiple sexual partners. People who live in institutions such as prisons, homes for disable people, or people in armed forces. Divya Sarvakalpa Kwath: It is an excellent herbal medicine for hepatitis. It supports the liver cells and prevents recurrent inflammation of the liver. It improves appetite and other functions of the liver. Divya Pravala Pancamrta: This is a wonderful herbal medicine for hepatitis of different types. It prevents any complications and gives relief from all the signs and symptoms of hepatitis quickly. Divya Kasisa Bhasma: This is also one of the best liver natural remedies that provide nourishment to the liver cells and prevent damage of liver. It helps liver in normal functioning. Divya Swarna Makshika Bhasma: This remedy is useful for people who suffer from acute symptoms of hepatitis. This gives immediate relief from pain in the abdomen due to infection of the liver. Divya Amrta / Giloy Sat / Gulvel Satva: This herbal remedy is found to be an essential natural remedy for all liver diseases. It may be take regularly for boosting up the energy and for supporting liver to function normally. Divya Svarna Basanta Malati Ras: This herbal remedy helps in the treatment of all types of liver diseases. It is a natural and herbal remedy for liver diseases. In increases the immunity to prevent infection of the liver. Divya Udaramrta Vati: This natural remedy prevents the complications of hepatitis. This natural remedy may be taken regularly to prevent any complications. It is effecting in boosting up the digestive system. Divya Arogyavardhani Vati: It is a natural remedy to boost up the immunity and prevents any type of infection in the body. It provides nutrition to the liver cells and support proper functioning of the liver. Divya Punar Navadi Mandur: This herbal medicine is wonderful for the treatment of hepatitis without getting any adverse effects. It provides quick relief from hepatitis signs and symptoms. 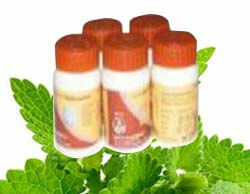 Divya Syonaka Kwatha: This is also one of the best herbal medicines for hepatitis. It may be taken to get relief from hepatitis symptoms and to prevent further infection of the liver cells. It supports the functioning of the liver cells. Wash your hand properly after going to the washroom. Drink water from the trusted source or boil water at home. Avoid eating raw vegetables. Wash vegetables thoroughly before preparation. Practice safe sexual habits. Use safe sexual methods to prevent transmission. Multiple partners should be avoided. One should be loyal towards his/her partner. Only use clean syringes that have not been used earlier. Avoid sharing of razors, toothbrushes and other such instruments. Eat healthy diet including fruits and vegetables that are good for liver. Avoid stress. You can do yoga and exercise to reduce stress. It helps you to remain fit and healthy. You can also do some meditation to avoid stress. Daily exercise helps you to remain healthy. Drink enough water to remove the toxins from the body. Water is an excellent detoxifier that helps to remove waste chemical substances from the body. Pregnant women should get proper screening done to prevent babies from infection. Vaccination should be taken on time to prevent recurrent infections. Alcohol and smoking should be completely avoided to prevent liver infection. Tea and coffee should be reduced to prevent damage to liver cells.